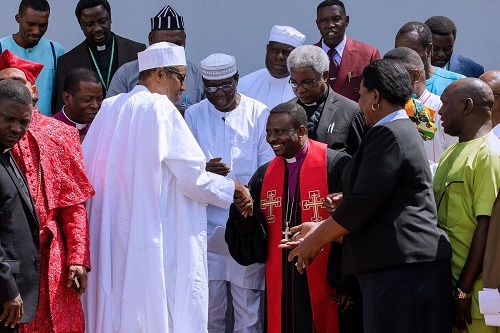 President Mohammadu Buhari briefly met with Christian Association of Nigeria leaders today before he went for Friday Prayers. 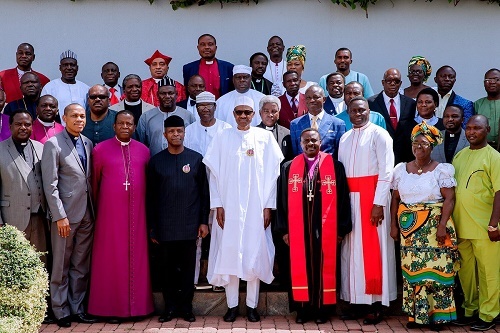 The short closed-door meeting held at Aso Rock this morning before Mr President went for Jumaat service. He reportedly met with Muslim leaders before meeting with Christian leaders at the State House today. 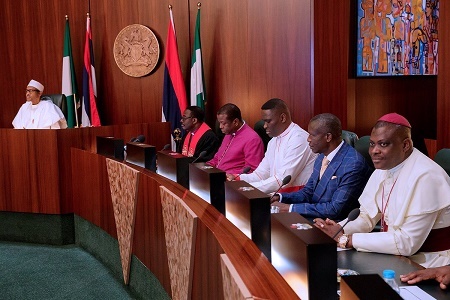 The Christian leaders appeared to look more excited meeting with the president, reason I don’t know. Point is nothing is working in Nigeria so I see know reason anyone should wear a smiley face meeting with the president. Everything is going from bad to worse. 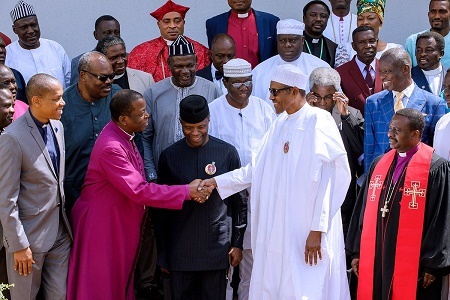 LOOK AT SMILING FACES OF CAN WHEN CHRISTIANS ARE MASSACRED ACROSS THE NATION.HOPE A GOOD RESOLUTION WAS REACHED TO END THE SENSELESS KILLINGS AND SEGREGATION OTHERWISE CAN WHICH IS THE ONLY MOUTH PIECE FOR CHRISTIANS WONT BE TAKEN SERIOUSLY ANYMORE.